Over the past few years hashtags have transformed from something fun and experimental to an essential marketing tool that helps businesses promote their products or services. According to a study by Simply Measured, posts with at least one hashtag have an average of 12.6% more engagement than those which don’t. The problem businesses have with hashtags is that they do not use ones which are the most effective for their business. What makes hashtags even more complicated is that trending hashtag terms are different from country to country and they can change from day to day. Create a hashtag that is easy to read even with the spaces omitted. 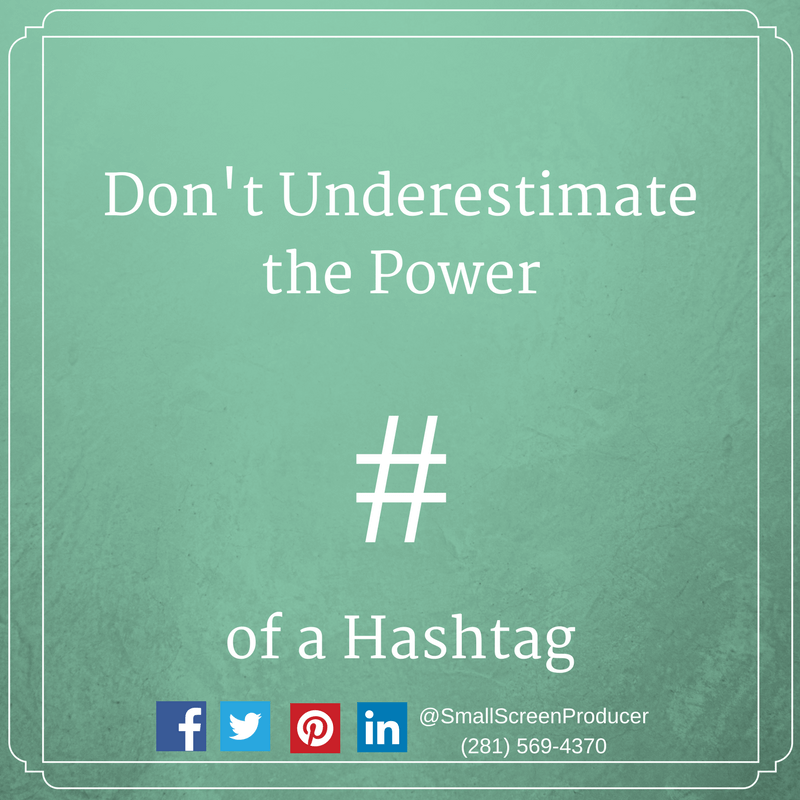 A catchy hashtag will inspire your friends and followers to take action. Your readers may also use the hashtag to look up what other people are saying about a topic. Use your hashtag consistently on relevant posts for the next several weeks and see how your readers respond. You can always introduce new or trending hashtags at the same time to draw more attention to your posts. Small Screen Producer is an experienced digital media marketing firm that offers the marketing solutions you need to increase your exposure online. We create campaigns using a combination of marketing elements like video marketing, content creation and social networking so that our clients can reach their business goals while staying on budget. Learn more about your digital marketing options and give Small Screen Producer a call at (281) 569-4370.